We are trying to complile a list of changes to help people better understand the MANY changes that were done to the 2009.5MY Vehicles that mostly go unnoticed now but may matter in the future. If you know of a difference that isnt mentioned here please let us know. The best in New Vehicle Sales and Service combined with the best of the Aftermarket! Last edited by SellersAutoSport; 10-26-2009 at 02:01 PM. Great list, though I'd love to see more information for each point. For instance, all the new engine parts: are the new parts better parts, just part number changes, or did GM just find a new, cheaper part that, physically/mechanically/performance-wise, is basically the same as the old parts, etc. Other than the Bluetooth, I'd like to know what all the changes to the Control Systems did. With all these updates it makes me wonder if my 2009 parts were having problems...hmmmmm?? Typical...They just couldn't update this for all of 2009? 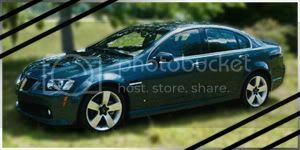 I have some of the mods like the GXP rear valance fit. But I dont have the cup holders. How do I identify if I have a 2009.5 or early model? You just did. 09.5s get cupholders on the rear seat cushion. Any possible elaboration on that? Instrumentation panel cluster, I believe. (2009.5 version is required) for engineering mode GPH and MPG-instant. Us older folks have no option to upgrade. You would have noticed when comparing the price on equally equipped cars. GM raised the prices at least once due to price of materials. This is another reason I searched to find an 09 rather than 09.5 because the same car was like $900 less. Thanks for the list. How did you find the information?? 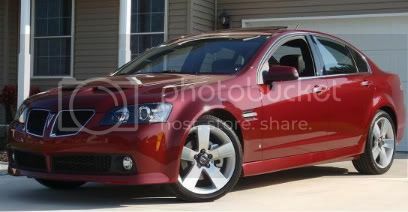 I am looking into buying a new 2009 G8 GT. Is there an easy way to identify if a 2009 G8 GT is a 2009.5? I am llooking fo a possible VIN # split. I know I can look at the cup holders and the price but I was looking for something more definitive. Also, What is the prospect of additional cars being imported over the next 6 mohts with the demise of Pontiac? Any other recommendations while looking for this car? Cupholders are definitive for 09.5. So is saying Bluetooth on the window sticker if it's new. All of the G8's are here. Very easy: the vin. If the last 6 digits of the vin start with a 3 (i.e. 3xxxxx), then and only then is it a 2009.5. Otherwise 2009 vins have a 1 or a 2. So the changes above or simply look at the vin, and you'll know. zippo, nada, notgonnahappen...... What's supposed to come here is here already. As to recommendations - if you want Bluetooth, get a 2009.5. Otherwise get the oldest one you can find - you'll save a couple hundred bucks. There was 2009, 2009.1 and 2009.5. It's compiled from our experience mainly things we've noticed personally and being noted in the parts catalog. I think if you run a search on timing chain tensioner you will see. The older ones are plastic, and break easily. The problem with this whole deal is that its down into the engine and you can't see it unless you have the front of the engine taken apart, or you have some sort of special scope. Another problem they found is that when it breaks, you really don't know, and then all of a sudden your timing chain starts acting up, not sure if this can damage the engine. There's alot of info out there on it, I believe it might be on the GTO website....you'll know when you see it, its a yellow piece of plastic, crappy design, that's why it was changed. Nylon has been in use on the GM small block for decades. If you run a high perf engine, you want to go the direct gear route.